Flashlights are often seen as useless by many since most smartphones today has one. But little did they know that having an actual flashlight is still vital because the brightness that it can produce is better than the ones on your phones. If you are looking for a high lumen flashlight that can work on your price range, then worry not because I will be talking about it later on. Flashlights that are equipped with LED technology usually are the brightest but take not that it is not always the case. There are different high lumen flashlights on the market today, and they have different characteristics that you should know about. 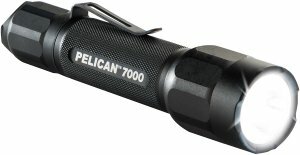 I’ve gathered the top 10 high lumen flashlights that are known as the best on the market to help narrow down your options. Get to know the top 10 high lumen flashlights by reading the information provided for you below. The Anker LC90 LED Flashlight is equipped with five different settings, including an SOS, strobe, high, medium, and low. It also has a zoomable setting, which means that you can narrow or widen the beam depending on your preferences. This flashlight has 900 lumens so you can easily see everything no matter how dark it is. It is also shock resistant to ensure its durability which will last long. One of the best things about the Anker LC90 is that it can give you a 6 hour light. The housing is made out of aluminum, which makes this flashlight tough. Lastly, it has a sealed construction to ensure that it is water resistant and dust resistant. The Fenix PD35 TAC Edition 1000 Lumen CREE XP-L LED tactical flashlight is perfect for your everyday use. It is also durable and can withstand any elements. With its compact design, the Fenix PD35 is also made out of aircraft grade aluminum and an anti-abrasive finish. This flashlight has an anti-slip and anti-roll design, which means that it will stay on your hand securely or on the belt or table. Of course, to ensure extra durability, the glass is ultra clear and as well as anti-reflective. 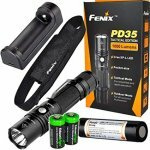 The Fenix PD35 has a maximum output of 1,000 lumens. It is powered by either two 3V CR123A or one 18650 rechargeable battery. This flashlight is also IPX-8 rated, which means that you can submerge I for 30 minutes in 6 and a half feet of water. You can bring this flashlight with you and use it even if it’s raining as it can withstand water as well. Lastly, the memory circuit feature will help your flashlight remember its last setting. The SureFire P3X Fury Tactical Single-Output LED Flashlight can be carried on a belt or on a pistol. It weighs 10 ounces and 10 inches in length. 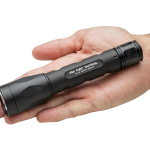 The flashlight has a knurled design, which makes gripping easier even during cold or wet climates. You can quickly turn it off and on using the tail cap switch, which will prevent it from turning on while it is stored. This SureFire P3X flashlight can produce a total of 1,000 lumens. The light output can be changed due to tot he Intellibeam Technology so that the light an adjust depending on your environment. Another good thing about this flashlight is that it has an indestructible LED light since it is covered with glass. To enhance the light’s output, it has a micro-textured reflector to produce a consistent and smooth beam. The ThruNite TN36 flashlight is perfect for large spaces that are enclosed. 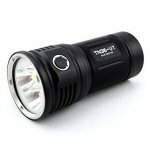 It has the power to produce a maximum of 7,300 lumens and a beam that’s almost 300 meters long. One of the best things about this flashlight is that it can be submerged in water for up to 1.5 meters. It also impacts resistant since it is made out to aircraft-grade aluminum. This ThruNite TN36 flashlight has six different light modes, which will help you to have different options when needed. You can also enjoy the memory mode, which will help your flashlight remember its last setting before you turn it off. 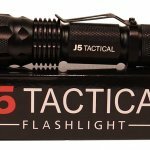 The J5 Tactical V1-Pro is perfect for police, security, and military use. It works well and has an intense beam, wherein it can reach a total of 600 feet long. This flashlight is a heavy duty, wherein it is an impact, dust, water, and damage resistant. It has different features, including strobes, low, and high setting. 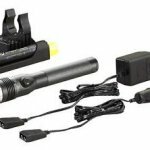 It is also equipped with a total of 300 lumens and a battery with a long life. With its durability, this flashlight will surely last for an extended period of time. The Streamlight 75458 Stinger flashlight is compact in size and lightweight. This flashlight has a super bright LED, rechargeable, portable, and definitely dependable. You can also easily cycle all through the available settings, which makes this flashlight user-friendly. With its C4 LED, you can enjoy up to 50,000 hours before you need to start charging it. When the flashlight is on its highest setting, the battery can last for 90 minutes and 5 hours when it is on its lowest. Also, the beam can reach a distance from 155 to 319 meters, while the charging time is 7.5 hours. When purchasing this flashlight, it already comes with three batteries so you can immediately use it. The ThruNite Archer V3 Flashlight is one that you can carry in your briefcase, backpack, or in your purchase. It only weighs 1.7 ounces and has a clip where you can attach it securely to your belt. This flashlight has a maximum output of up to 500 lumens and a total beam distance of 118 meters. 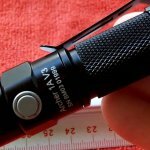 The ThruNite Archer V3 flashlight is powered by double A batteries. This ThruNite Archer V3 is made out of aircraft grade aluminum and is dirty, dust, and water resistant. One of the best things about this flashlight is its Firefly setting wherein it will start decreasing its output once your battery life starts getting low. Lastly, it can stand on its own, so you can do whatever it is that you’re doing without having to hold the flashlight. 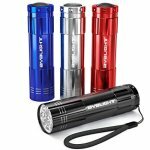 The BYB Super Bright 9 LED is a powerful and small flashlight, which is perfect for walking the dog, fishing, camping, and hiking. It is made out of aluminum, which can handle dust and water, and as well as impact. 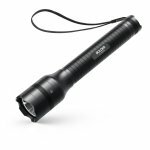 This makes this flashlight durable despite its small size. The BYB Super Bright flashlight is equipped with 9 LED bulbs which can produce a total of 30 lumens, which is enough to light up your surroundings during a power outage or while camping. This flashlight is powered by triple A batteries and can last for up to 30 hours. 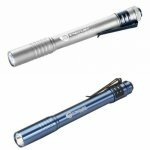 The Streamlight 66121 Stylus Pro Pen Light is one of the most high-quality flashlights today. Both EMTs and Doctors are using this because of how handy the flashlight. It is made out of similar aluminum alloy material, which makes it durable so breaking it or dropping the flashlight won’t be a problem. The flashlight includes two AAA batteries and has a long runtime before you eve need to replace the batteries. Another good thing about this flashlight is that it has a lifetime, so you don’t have to worry about anything. 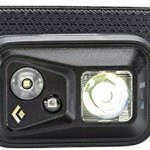 The Black Diamond Spot is perfect for campers or hikers who want to carry a lightweight flashlight. It has a headband which can handle comfortably it on your forehead so you can free both of your hands and do something else. This flashlight is equipped with Double Power LED, and Quad Power LED to help produce a total of 300 lumens. Some of the features of this flashlight are red night vision mode, strobe light, dimming setting, distance mode, and full strength proximity. This Black Diamond Spot is IPX-8 rated, which means that it can withstand heavy rains. It is also damage-resistant and rustproof, so falls and drops should not be a problem. If you are a hiker, then this flashlight is for you due to its versatility and durability. Lumens are being measured by the total light that is being emitted by the flashlight. So for instance, an incandescent bulb that has 60 watts has the ability to produce 890 lumens. A 40-watt bulb, on the other hand, will produce a total of 460 lumens. Measuring the lumens and knowing the total lumens a flashlight can produce is essential as it will help you know how bright your flashlight can produce. The Torch lumens or also known as the out the front refers to the overall output that a flashlight produces after a loss occurs. This can happen at the back of the reflector, front lens, light that has been used to heat the reflector up, losses through the bezel, lens, and as well as the light that has bounced back to the emitter itself. The Emitter lumens is the emitter’s potential output itself. This will include different gases, hot filaments, LED, and more. It is actually not the one that’s being produced when you turn your flashlight on. Also, when the components are cheaper, this also means that the more light is being lost. In fact, it is possible to actually lose a total of 60% even before you get a useable light from your flashlight. The lux is another way to measure the brightness of the flashlight. The lux is the light that flashes on the wall. For instance, a single lux is equaled to one lumen per square meter, and it will be measured using a light meter. Lux is also known as the foot candles. Lux is essential just because it will tell on how far the throw will be. Another way to measure the light is through Candela which is essential because of the light’s concentration. A flashlight with a high candlepower this means that the measurement will be at the beam’s center where it is the brightest. But keep in mind that not all flashlights have the power to disperse beam all in the same way. The first thing that you need to is to know your reason for buying the flashlight. Is it because you are going to use it during power outages? Will you be using it for camping? Or you just want something that you can use for random purposes. This will help you know the size and the features that you will need when you’re at the store purchasing your flashlight. The next thing that you need to do is to check the budget that you have for high lumen flashlights. There are different prices available, and usually, the price will depend on the features available. High-end flashlights can cost around $60 and up, but there are also some that are below $20, so your budget can be pretty flexible. Since you are looking for a flashlight with a high lumen, it would be best to check the number of LEDs available. There are flashlights with multiple LEDs that are affordable, and there are also some that are expensive. The next thing that you need to do is to check the light’s intensity, and this is measured by the number of lumens. This kind of rating is usually available for multiple flashlight settings and other modes with different outputs. 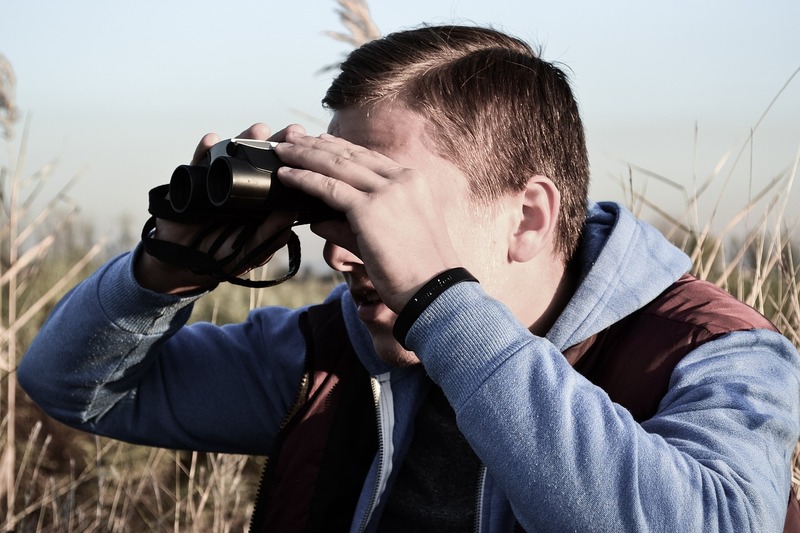 Of course, you need to check the materials used when purchasing a flashlight. You need something that will last for an extended period of time. The best material should be hard anodized aluminum as it can withstand impacts and is known to be water resistant. You surely don’t want to spend on something that is not that durable. There are two types of batteries that you can use which are the rechargeable ones and the ones that you can dispose of once it runs out. Disposable ones don’t need to be charged, which means that once they run out, you can easily replace them with a new one. Rechargeable ones, on the other hand, will need to be charged every time it runs out. You can also bring a spare rechargeable battery so when the other one is charging; you will have something to use. If you want to save, a rechargeable battery will help save because you no longer need to purchase batteries once in a while. Lastly, you need to check the safety and the durability of the flashlight. You need to find one that can endure shock and water for it to be durable enough. Flashlights also have safety rating wherein they rate it based on how you can use them during certain conditions or if they post risks. The flashlights are also tested to make sure that they won’t become a source of ignition or spark and can post any danger to you and the people around you. One of the best things about high lumen flashlights is that it is very convenient to use. These flashlights are light in weight and can easily fit in your purse or pocket. Since they are power efficient, you don’t have to change your battery every so often. This also means that they re cost-effect since you don’t have to purchase batteries often. High lumen flashlights produce brighter kind of light compared to halogen and incandescent bulbs. With high lumen flashlights, you don’t have to wait for it to produce its fullest brightness because with high lumens it will be instant. Another good thing with this kind of flashlight is that it has the power to produce different brightness levels. This will help you choose your preferred brightness, thus saving more battery. Another good thing about flashlights that have high lumens is that they don’t get damaged that easily, compared to incandescent ones. The reason behind this is because they are built to last because of the solid construction that they have. 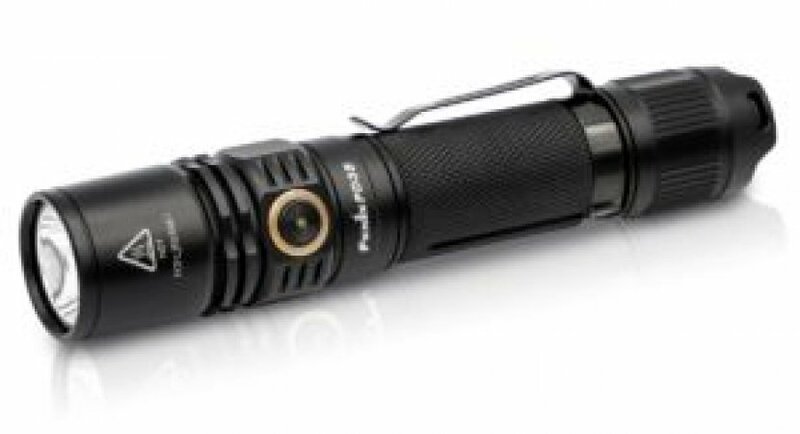 There are also high-quality flashlights that are waterproof because of the aircraft grade aluminum material that they have. Most high lumen flashlights are resistant to impact and shock, which makes this flashlight the best option for everyone. High lumen flashlights are known to be energy efficient wherein it only consumes 50% less electricity compared to halogen, fluorescent, and incandescent. This kind of flashlight will provide light to a specific direction compared to conventional bulbs which can emit heat and light. Rugged – High lumen flashlights are using LEDs; this means that the LED is made out of solid material with no tube, filament or bulb that can be broken. Controllable – Another good thing about LEDs is that you have the power to control its color and brightness. Environmentally friendly – There are no known hazardous substances, and there is no mercury found in any LEDs. Excellent Color – Unlike fluorescents that can wash out the colors of other light sources, LEDs do not wash that. LEDs are perfect for flashlights. Directional – Another good thing about LEDs is that it has the power to provide you with the light where you want it. This means that there will be no light wasted with this kind of flashlight. Weather Proof – They have the power to work on low temperature and even weather’s that are subzero. No Warming Up Period – A LED flashlight can instantly light unlike other types of flashlights. Long Life – They are adequately engineered and they can also for up to 50,000 hours. High Lumen – They have the power to produce 135 lumens for every watt. With the many high lumen flashlights today, you no longer have to worry about anything because, with the list above, your options have narrowed there, thus making it easier for you to find the right one that you need. Follow the things that you need to consider above, so you know the things that you need to look for when finding the right high lumen flashlights for your needs.